In the early hours of Thursday 8th August 1963, the heist of the century is under way. Signals are scrambled, phone lines cut and millions of pounds of cash – stolen. Five days later the first clues are found, the gang is busted and the rest is history. But what about the ones that got away? Join the four forgotten females as they leave behind their kitchen-sink lives and embark on a madcap adventure of mischief and mayhem. 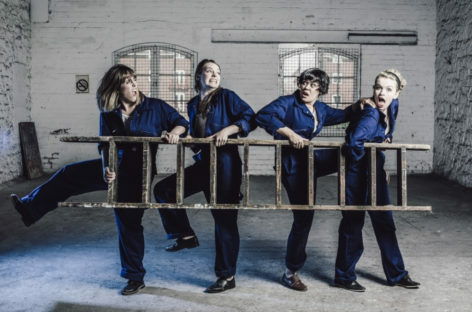 Using a raucous combination of physical theatre, live music and clowning, Scratchworks will unfold the untold tale of the unlikely female four.